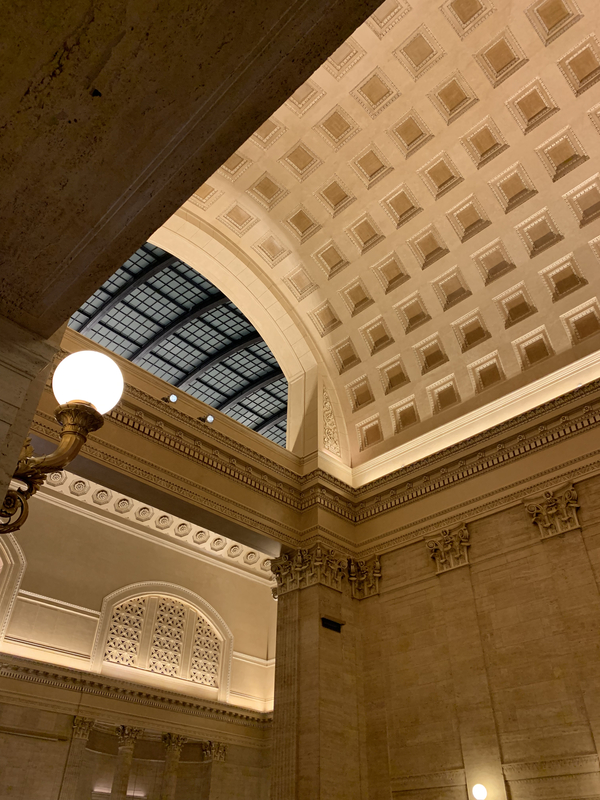 Assuming that you believe in historical chronology – the idea that time moves in one direction, so that people in the past didn’t know what we’re doing now – there is no link from railroad stations to Roman architecture. This architectural style was developed roughly 2000 years before the first passenger station was built. But American railroad companies between 1900 and 1930 did their best to pretend that their modern stations had been built by the Romans, assuming that the Romans has steel, trains, and electric power.